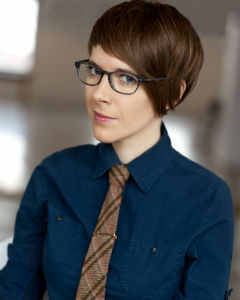 DeAnne Smith, a 2014 Canadian Comedy Award winner, rocketed onto the comedy scene in 2006. Since then, she’s performed all over the world, including the Edinburgh Fringe Festival, the Melbourne International Comedy Festival, the Iceland Comedy Festival, Just for Laughs Montreal and Chicago, and JFL42 to name a few. She’s also been on TV in four countries, including on Last Comic Standing NBC, The Late Late Show with Craig Ferguson on CBS, Canada’s The Comedy Network, Australia’s Channel 10 and ABC, and UK’s Sky TV. She’s opened for Tig Notaro, Chris Hardwick, and Robert Keller and is a regular on Andy Kindler’s annual Alternative Show at Montreal’s prestigious Just for Laughs festival. The Montreal Gazette says DeAnne is “fresh, cutting…one of the finest wits in the country” and Time Out Sydney praised her “witty, out-of-nowhere sideswipe punches.” The UK’s Telegraph calls her “Smart. Very funny. Effortless charm lets her get away with murder.” She’s never actually murdered anyone. She’s just super funny.